Loyalty pays – especially during the holidays – and even a slight bump in repeat customers can pay dividends for brands. In fact, a recent study found that 50 percent of shoppers are more likely to buy gifts because of their loyalty points alone. Not only are loyal patrons more likely to spend, they’re more likely to spend big. A 2012 study found that, on average, repeat customers spend 47 percent more than first-time shoppers during the holiday season. In order to attract and retain repeat customers, brands must have a solid loyalty program in place that offers a seamless experience and incentivizes return visits. Most importantly, however, loyalty programs must be profitable. These factors are even more important during the holiday season, when the competition pulls out all the stops to entice new shoppers. I recently spoke with a prospective client – a successful restaurant chain with locations across the country – who needed advice about bolstering their loyalty program. Companies both large and small need to continually improve their loyalty rewards programs, and I tend to have the same questions for all – regardless if they’re opening their first location or their hundredth. The first thing I want to know is the intended goal of the loyalty system and what makes their brand unique. If a company doesn’t know what sets them apart from the competition, it’s very difficult to design an impactful loyalty rewards program. I then ask the client to define their brand promise, as well as the customer service and marketing objectives. My questions include: Why do people visit certain locations? What kind of experience and expectations do patrons have? A clearly defined brand promise is key to a successful loyalty program. There was a jingle for a fast food restaurant that went, “Hold the pickles, hold the lettuce. Special orders don’t upset us.” That’s a brand promise. These are the very questions that companies need to ask themselves if they want to effectively create a loyalty rewards program that will be both a great experience for the shopper and profitable at the same time. Customers are increasingly conscious of the money and time they are investing in brands and – in turn – they want what they want, when they want it. From this emerges an urgency to create a frictionless experience that supports a brand’s promises through all channels, both electronic and in person. This messaging must intersect with customers in the physical and digital spaces that shoppers naturally gravitate towards. However, successfully reaching patrons through an app, for example, is not enough – they have to also be fully aware of what that brand is putting out through all of its respective marketing channels. Not having that symbiotic experience does nothing more than drive a wedge between a brand and its customer. This is especially critical to millennials, who abandon brands faster than others for this one particular reason. Brands that go out of the way to be accessible to customers will see increased retention and profitability throughout the year, including the holidays. Regardless of what industry you’re in, you can expect your competition to do everything they can during the holidays to woo your customers. Nonetheless, a robust loyalty system can weather even the sexiest deal from the other guys. Here’s how: First, you must plan to tailor your customer experience by understanding who your patrons are and how they spend; from there you can prioritize the offers being sent their way, based on the value the customer means to your brand. When gathering data on spending patterns, the value of each shopper must be determined based on overall probability of future spending. By taking a more holistic view of your patrons’ data, you can determine their real worth instead of what they are simply spending at any given time. A clearly defined brand promise is key to a successful loyalty program. Discounts are not loyalty. A quality customer won’t sleep outside of a Best Buy to score a great deal on a plasma TV or battle with throngs of people for the newest Christmas fad – a real loyalty customer doesn’t want any part of that experience. Truly loyal shoppers, on the other hand, will pay more for a good experience, and they will also choose to shop in one place to try to get everything they need. For loyal shoppers, it's all about the experience. Smooth transactions and intuitive purchasing assistance are the value they’re after. Armed with this insight and data, your loyalty program must then focus on acutely targeted gaps within your demographic. Rather than just putting out offers available to anybody at any time, your brand needs to make the right offer for the right person at the right time. With this kind of timely micro-targeting, you will be offering your customers a personalized experience that even the biggest holiday sales won’t be able to compete with. More money will be spent in the retail industry this holiday season than ever before and a sizeable portion of those profits will come directly from repeat shoppers. Brands can get in on the action by ensuring that their loyalty program is as sophisticated as the customers they are courting. The best way to do that is to collaborate with a top provider of loyalty solutions which champions a multi-touch customer experience and helps their clients understand their patrons’ real worth. Knowing what makes one’s company unique, in addition to their brand promises and objectives, doesn’t hurt either. ​​​​​​Jon C. Wolfe is the founder, president and CEO of House Advantage, an international customer loyalty, marketing, strategy and technology company headquartered in Las Vegas. 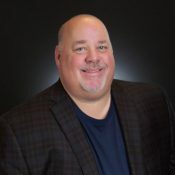 With over a quarter century of senior casino management, technology and loyalty experience in the gaming and hospitality industries, he is widely considered an expert in business intelligence and loyalty technology and is renowned for his ability to leverage patron information across integrated resort operations to drive revenues and profitability. Before founding House Advantage, Wolfe served in several executive roles including senior vice president (SVP) and CIO of Colony Capital/Resorts International, SVP and CIO of Horseshoe Gaming.